Over many years, Sheila Peters has been writing poems reflecting the diverse experiences, both here and away, that have made the Bulkley Valley her home as a writer. Recently she shared many of those poems with visual artist Perry Rath. This synergistic collaboration reflects the depth of the physical, spiritual and emotional worlds of these two artists and reveals those places where their visions intersect. From the mountain ridges and aspen forests of the eastern Skeena River watershed to the ancient alleys of Kathmandu, these two travellers explore the interplay of absence, presence and renewal in the landscape, the heart and the mind. 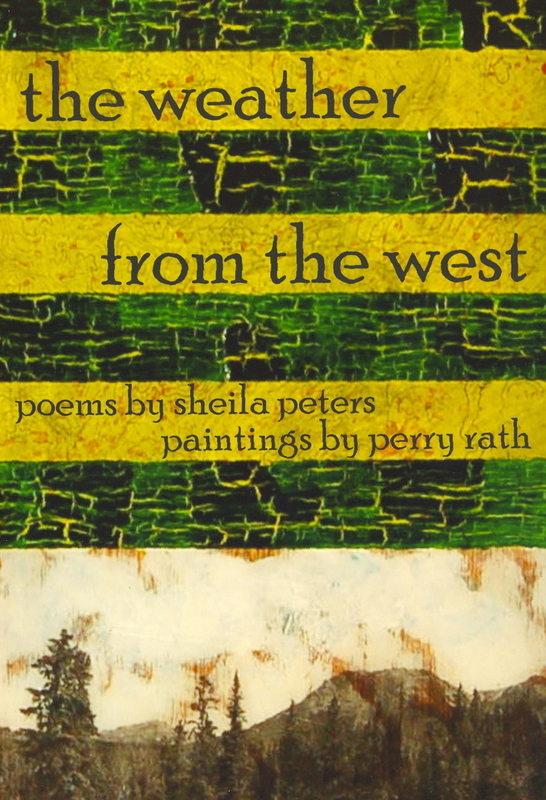 In this selection of 42 poems and 23 paintings, Sheila and Perry share their yearning to fully inhabit place and time and give them voice and shape. Sheila and Perry talk about links between their work and what influences their creative processes. Sheila reads her poem, “plagiarism,” and talks about the relationship between her and Perry’s work. Thanks to Tyler McCreary for these.